This chapter provides a supportive account of the hypothesis advanced by “Austrian economists” that the crisis was the outcome of “malinvestment,” that is, overinvestment in the housing sector in response to ill-considered regulatory measures adopted by the US government. In other words, it was less a case of a “market failure” than a “government failure.” Not only a lack of regulation but also misregulation can distort markets. The problem stems from the “knowledge problem” first analysed by F.A. Hayek: policy makers often fail to estimate the complexity of the market processes they attempt to control. However, appearing to ignore a problem, for example, by allowing “too big to fail” (TBTF) entities to fail, is politically unfeasible. Hence the cycle of conflicting policy goals and contested regulatory reforms that continue to produce uncertainty in the Western world. 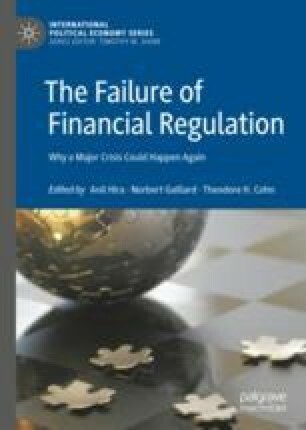 This chapter concludes by underlining the risks involved in paying too little attention to the complexities inherent in financial markets.